We couldn’t believe how lucky we were to find a place like this at such short notice. You really feel a million miles away and we just cant wait to come back to enjoy the cosy cabin and the amazing hot tub again soon. We’re lucky enough to get fully booked all year round due to so many returning customers. Occasionally however we do have last minute gaps or cancellations and we are usually able to offer these at a special rate with 20% off. If you’re fortunate enough to be flexible with dates and have that spontaneous nature make sure you sign up to our last minute notification list at the bottom of our home page and we will let you know if we get any offers for you. 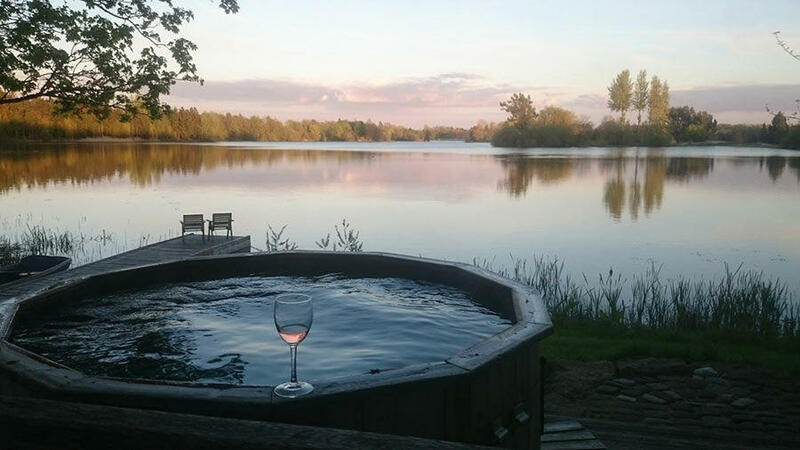 Nothing beats an unexpected holiday – finding yourself stargazing in a hot tub or paddle boarding across your own private lake is always a nice surprise on a Monday afternoon! A last minute break with us is a perfect way to surprise a loved one, a great way to get some much needed time out from whatever life holds at the moment or an exciting way to just live a life of more spontaneity. Some things change with the seasons – others are great all year round. 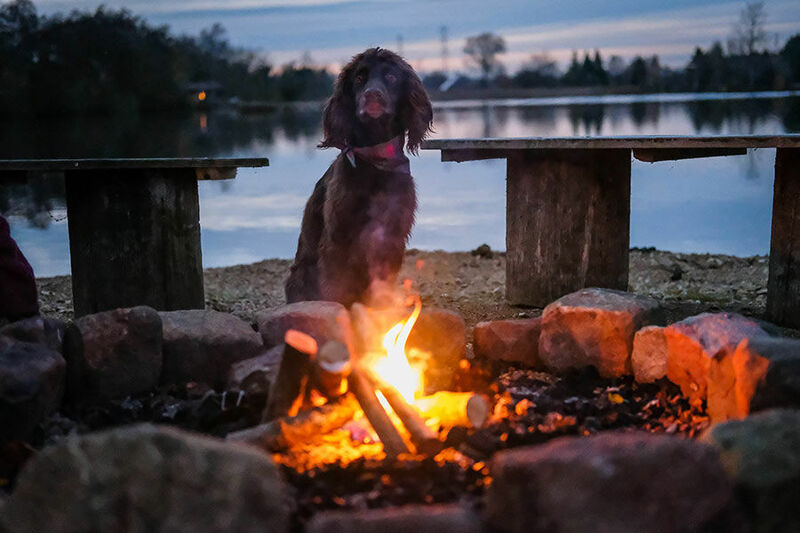 Whatever time of year you escape, you will no doubt be enjoying afternoons spent rowing around in your boat, lighting fires in your indoor log burner or outdoor fire pit and of course starting and finishing each day in you hot tub. If you’re here in the winter months you can look forward to lazy days cosying up in your luxury log cabin, hearty walks to nearby Cotswold pubs and perhaps a spot of winter fishing – its the best time of year for catching! If you’re staying in the spring or autumn then look forward to a romantic log cabin holiday with lots of wild flowers or autumn colours to enjoy as you get lost in the gardens of your private nature reserve. Summer months of course mean time on the water whether you want to try out kayaking, paddle boarding or perhaps some wild swimming. The spring fed lake is lovely and warm in the summer and if you’ve brought dogs along they will no doubt be keen for a dip too! Picnics and BBQ’s down by the waters edge are also great fun and you can easily prepare some good mood food from your cabins fully equipped kitchen. Holidays are great but sometimes they require a lot of planning. With flights, connections, foreign money and foreign languages it can sometimes be a bit of a hassle! A staycation in the UK has the benefit of simplicity. It’s as easy as choosing your favourite cabin and making the booking through our website in just a few minutes. You’re all set! Come your holiday, pack your bags, tap our postcode (GL7 6ED) into your phone and jump in the car. We’re really easy to get to from all directions with easy access from both the M4 and M5. Tesco, Sainsbury’s and Ocado all deliver right to your cabin’s door too for the easiest self catering holiday possible. All that’s left to do is take the lid off the hot tub and begin your perfect few days away. If you can drag yourself away from the luxuries of your log house and private lake, we have pulled together an easy to use ‘Ultimate Guide to the Cotswolds‘ so you know all the best places to head for when out and about.